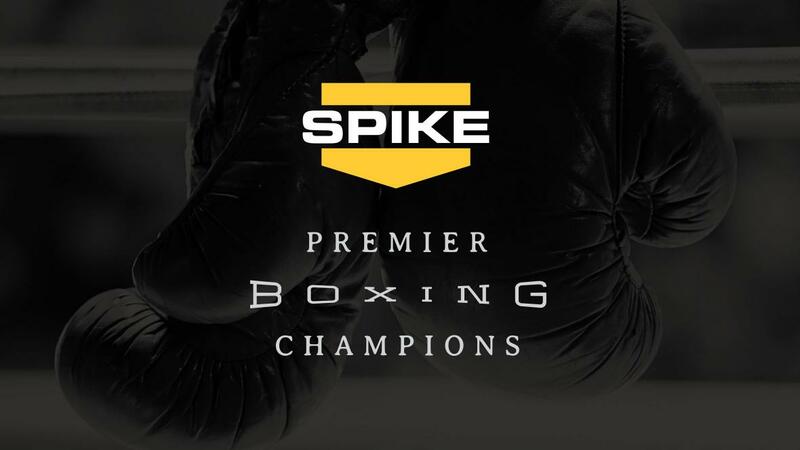 Host Dana Jacobson opened the inaugural Premier Boxing Champions (PBC) on Spike TV’s Friday Night Lights Out saying “Nobody does combat sports better than Spike”. While that is yet to be seen as far as the sweet science is concerned, they did deliver a solid opening show this evening from the Citizens Business Bank Arena in Ontario, California. In the main event, Winter Haven Florida’s Andre “The Beast” Berto (30-3 23 KO) knocked out the local favorite from Riverside, California, Josesito “Riverside Rocky” Lopez (33-6 19 KO) at 1:03 of the sixth round. On paper, this bout was all war and while we didn’t get a fight of the year candidate it was entertaining while it lasted. To open the fight, both men were coiled up like rattlesnakes ready to spring. Berto worked early to establish his jab and it was evident that his speed was going to be factor. Lopez countered by working the body extremely well while strategically landing right hands. Berto was the aggressor moving forward forcing Lopez to fight off of his back foot and causing him to be trapped on the ropes from time to time while Berto landed combinations. The fight was also rough in spots as Lopez continuously landed blows to the back of Berto’s head. Lopez had the height and reach advantage but did not use either fully to his advantage as much he should have to counter Berto’s speed. There were many moments of toe to toe action in this fight with both men landing. In the fifth round, Berto began to double up his jab which was opening up opportunities for him to land his right hand. Lopez also continued to have his own moments landing solid body shots followed up by left hooks and right hands. It was a close fight through five rounds but in the sixth, that all changed. Early in the round, Berto landed a flurry of punches that culminated with a big right hand that wobbled Lopez. Sensing Lopez was hurt Berto swarmed him and landed a big right off of Lopez’s jaw which dropped him at 2:18 of the round. Lopez made it to his feet at the count of eight but Berto immediately landed another overhand right, this time off of Lopez’s temple and crumbled Lopez to his knees. The referee immediately jumped in and stopped the fight. The co-feature was originally scheduled to match Shawn Porter against Roberto Garcia; however, Garcia did not show for the weigh-in and it was reported that he had been hospitalized for an illness. It was then rumoured that Erick Bone would get the opportunity only to see Karim Mayfield’s name enter the picture. On Friday, it was announced that Bone would be Porter’s adversary for the evening. Porter (25-1-1 16 KO) of Akron, Ohio did what he was supposed to do against a late replacement as he knocked the Ecuadorian fighter out at 2:30 of the fifth round but it didn’t come without some difficulty. Bone (16-2 8 KO), who took the fight on about a day’s notice, was in Porter’s face for the first four and three quarter rounds before being stopped. Porter controlled most of the first round with his movement and quick jab but Bone was finding success with the overhand right and landed a solid left hook towards the end of the round. Porter again controlled the second round landing good quick combinations but Bone was there again landing the left hook solidly several times. Porter’s defense was a bit porous and his hands were low which contributed to Bone’s success. Porter was the quicker more active fighter in the third but Bone has his share of moments again landing the left hook and giving as good as he was getting. There was some toe to toe action in a very close fourth round. In the fifth, Bone started the round nicely landing several right hands on Porter. At 1:44 Porter swung with a big right hand causing Bone to move backwards. Although the punch missed, Bone twisted his knee while retreating and went down. It was ruled a slip but it gave Porter the momentum that he needed. He jumped on Bone and landed three vicious body shots causing Bone to reel backwards and drop to a knee. Bleeding from his nose, Bone was up at the count of eight. 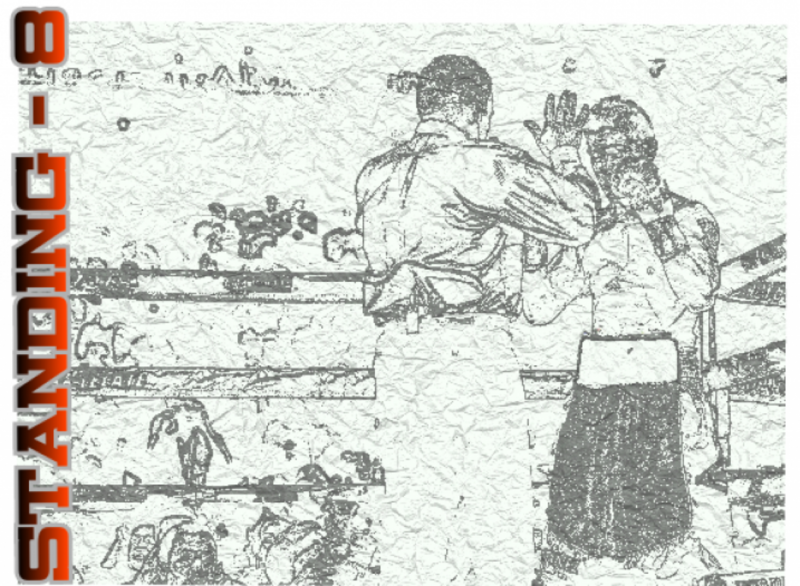 Porter pinned Bone on the ropes and landed hard combinations to the body. Bone was game and landed a right hand but Porter was simply too much as he landed another body shot that hurt Bone and had him falling into the ropes. Porter then closed the show in “Tyson” like fashion landing a right hook/left hook combination with bad intentions dropping Bone who couldn’t beat the count. After the fight Porter was asked by Spike TV’s Jimmy Smith if he got what he expected from Bone, a last minute replacement. In a swing bout, Chris “The Nightmare” Arreola (36-4 31 KO) defeated Curtis Harper (12-4 8 KO) by unanimous decision with scores of 78-73, 77-74, 76-75. A throwback heavyweight fight that was a good old fashioned donnybrook. The only thing that would have made it better is if it had been in black and white. This fight was explosive from the opening bell. Harper jumped on Arreola in the first few seconds landing big punches but at 2:30 of the first round, Arreola landed a crushing right hand that dropped Harper and he looked to be out as he hit the canvas. Harper was up at the count of four. Arreola took his time and continued to land big overhand rights set up by his jab. Harper was wobbled several times in the round but somehow he survived to the bell. In the next round, Harper came out a little more composed and started to establish his jab landing solid rights and a few lefts and also did some work to the body. Arreola was able to land a few big shots again but Harper was impressive coming back strongly after being hurt in the first and most likely won the round. In the third, Harper landed combinations while Arreola went to the body. Both landed big shots towards the end of a close round. Harper landed multiple combinations to start round four and wobbled Arreola for a moment. Harper was controlling the round with this jab and there was good toe to toe action with both men landing big shots. Harper landed a huge left uppercut towards the end of the round and had Arreola reeling. Arreola controlled the next two rounds by landing the harder shots and backing Harper up. In the seventh, Arreola had Harper hurt badly but he somehow stayed on his feet. Arreola walked Harper down in the final round and landed the better shots ending strong on his way to the victory. Tonight’s card gave us three examples of why we love this game. A last minute replacement fighting his heart out and giving the favorite all he could handle before being stopped. Two heavyweights giving their all in battle for the greater good, both being hurt multiple times but showing heart and fighting on. Finally, an ex champion coming back from the hardships of the past showing that when life knocks you down, you get up and fight again. This article contributed to BTG.